Been itching to go on an animal safari, or take a trip to the farm? With a bevy of animal sculptures decorating your interior, you can bring the jungle and grasslands to your front door. Celebrate the majesty of the panther, with a decorative sculpture in black Swarovski crystal. Teach the kids how to chill, with a bendable wooden monkey hanging off their front closet. Take a pen off your new office companion – a wooden, open-mouthed hippo. 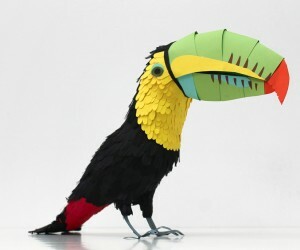 Get creative and animal-happy with our top 50 selection of animal sculptures, statues and figurines. Crouching tiger, hidden panther. Gift your office desk the ornament of a lifetime, with these cool cats holding down your paper. 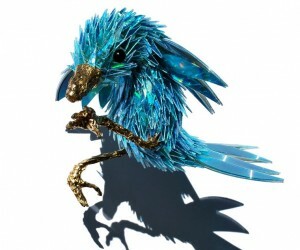 Panthers spell luxury, and this Swarovski sculpture is no exception. Descending down a ledge of black spot granite, its Moroda crystal beams bronze and metallic blue. Want it bluer than blue? Made in France from full lead crystal, this panther is fully crafted by hand. Who’d want this jaguar to change its spots? This resin cat statue is coated in black glass and gold. Cast in resin with an antique silver finish, this cheetah runs from aristocratic hunters. Feeling animalistic about your steampunk home decor? This antique brass cheetah uses Victorian gears, valves and hinges to convey her prowess. Throw bad business to the lions, with this silver king of the jungle straddling your desk. Prefer to celebrate the lion’s majesty instead? This ten-inch statue would look a treat inside a bookcase. Before Google Chrome, there was Firefox. Bring this long serving browser’s mascot to life, with this handmade fox figurine in red. Make foxes out of glass. Containing no dyes, paint or decals, these pure glass sculptures inspire your inner cunning. Viennese master Bosse wanted his bronzes to create happiness. Exhibiting perfect patinas and polished, golden surfaces, they come resplendent and delightful inside velvet bags. On the hunt for a unique wine holder? This thirsty grey wolf can be at your assistance. Think outside the square for your next sculpture. Originally sold in English galleries, these ceramic polystone heads by designer Matt Buckley make striking feature centrepieces. Using the same resin and stone, Buckley extends his range to include the lion’s mane, gorilla’s snarl, tiger’s roar and more. Legendary designers Charles and Ray Eames have been long influential. These elephants exhibit their famous mastery of plywood, in a 3D form. When the owners are away, the elephants will play. These black and red ceramics would look great amidst the kitchen shelving. Pick up some pieces of elephant decor. These trunked creatures are designed by Adler, handcrafted in Peru out of high-fired stoneware. Go further South with these Antarctic polar bears, handcrafted as a family in eggshell white resin. Want to see a balancing act? This dancing-on-ice-cubes polar bear is handmade by Kevin Prochaska. Made with hand-blown glass, borosilicate crystal and 24-carat gold, its gold foil trim ensures it’s a piece to remember. Monkey around with this Scandinavian find. Made in Denmark from a classic 1951 design, its 31 parts in limba wood and teak form a major Danish television personality. After another Jonathan Adler piece? Pared back to the gorilla’s most basic form, this stoneware ape is given texture by artisans. Step it up a level with a sculpture in bronze. This sleeping rhino is 100% handmade, investment-casted and polished. Born in 1955, these funky desk organizers are a classic in Denmark. Pop them inside a Scandinavian office to collect your stray pens. Want a bear, but don’t want it cuddly? These hand-crafted figurines hit the mark – or you can find cheaper replicas at . Take a twist on the classic piggy bank. Handmade in Russia with native linden wood, it’s a great gift for your little one learning to save. Another Danish creation, this wooden dog almost comes alive. Able to sit, crawl, beg, stand and sulk, Oscar’s iconic form has let his personality shine through the decades. Want something more static? This walnut wood dachshund adds character to your bookshelf. Bring your carnival memories home. Inspired by culture-spoof artist Jeffrey Koons, the original form of this cast resin dog sold for US$58.4 million. Love cats instead? 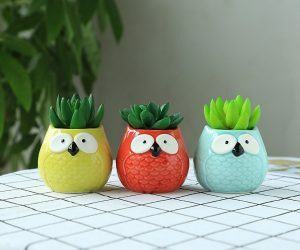 Buy this family of four for your kitchen or hallway table. Love minimalism and cat decor? This porcelain kitty faces away from your gaze and towards interior style. One of Kay Bojesen’s first exotic animal sculptures, this 1935 design is still hand-painted to this day. Have a Peruvian or Bolivian to buy for? Buy them the animals they recognize, in these matte-glazed sculptures of their highland friends. Feeling your hall table could hold something deer? This sculpted white Bambi with resplendent copper horns makes the natural seem refined. Get the whole flock. These white ceramic prancers stretch their necks, eat and relax upon your holiday mantelpiece. Looking for something a tad more minimalist? This muted-hue set of three create comfort in numbers. Make your deer more artistic. Designed by the prolific sculptor Jonathan Adler, its ceramic-based, matte-glazed form could easily grace your dining room table. For something more whimsical, you can’t go past these monochrome figurines. Hand-polished, hand-crafted and moulded in resin, they’re a perfect wedding ornament or motif for two. Go deeper in the jungle with these long-necked giraffes. Available in black or white, their resin finishes speak geometry. Get the sculpture all the neighbourhood will talk about. Sculpted in metal and braided in iron, these handmade giraffes make a striking orange centrepiece. Put the bull inside the china shop. This iron-bar bull is painted brown and red for rustic effect. Bring the world’s metal bulls and bears together, to safeguard your book collection. Love the image of a horse running wild? So did this Maryland, USA designer, who used a strand of aluminium wire to handcraft this creation. Stand its weather-safe form outside. Capture the graceful elements of nature. This sculpture of a horse drinking water, made with photosensitive resin, reminds us the simplest tasks can be the most metaphoric. If you can be anything, always be a unicorn. Cast in pewter with a Swarovski crystal middle, this mythological creature is beloved as much by Silicon Valley VCs as it is by little girls. Add to your nautical home decor with this ceramic seahorse, a perfect sculpture for beside your washstand table. 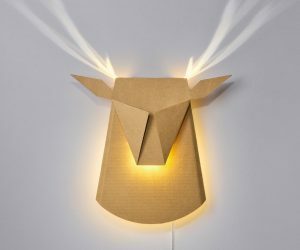 After an animal-inspired tea light holder? Add to your octopus home decor with this aluminium and iron lantern-bearing creature. Looking for an ornament for beside the bath? Choose from a wide array of these hand-blown glass fish. Get nerdy with your sculptures. This pack of six includes a passive and pixelated pig, sheep, cow, chicken, ocelot and tame wolf. Introduce the underworld to your interior, with this unique knife statue. Crafted in polyresin, its painstaking detailing could have a place upon your bookcase. Another piece of dragon decor, this sculpture doesn’t disappoint in Victorian cold-cast bronze detailing. Был найден мной классный web-сайт про направление пледы киев.